Greg Yuna, Gerard Adams, and Roberto Blake join the list of digital branding experts participating in the NameSummit 2018 conference in New York City! One key to the success of the inaugural NameSummit 2017 was the high caliber of experts and industry speakers, and mentors who shared their expertise and experience with attendees. 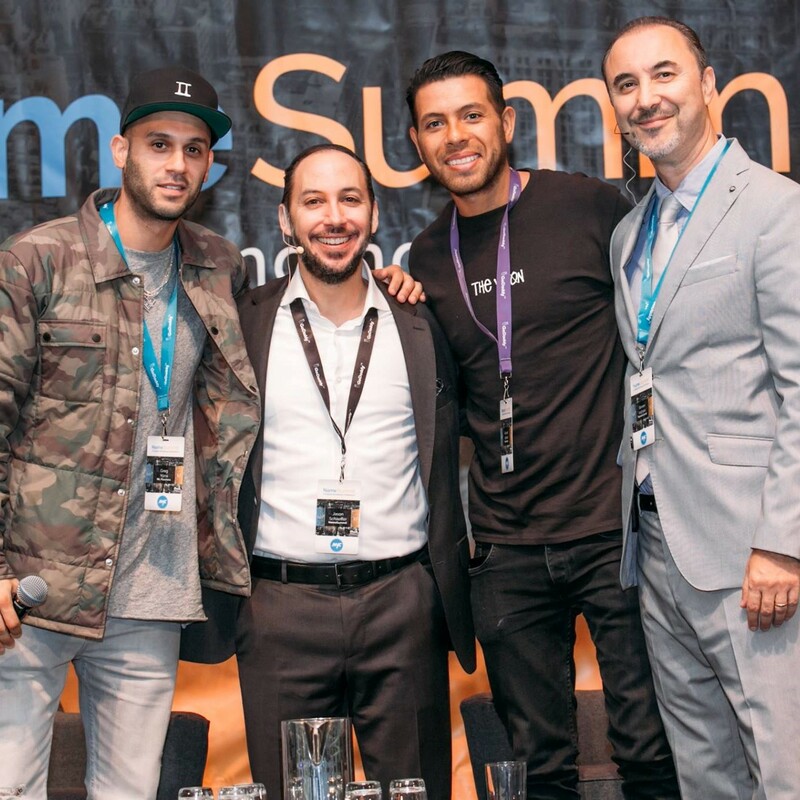 NameSummit 2018 promises to be another successful event as three of last year’s most popular influencers, Greg Yuna, Gerard Adams, and Roberto Blake return to speak about digital branding, influencer marketing, and online optimization. Roberto Blake is a creative entrepreneur with more than 10 years of experience helping companies and individuals to design and market their brands through engaging visuals and effective messaging. Roberto is more than a “YouTuber” he wants to help educate and motivate a new generation of creatives, to not be starving artists! He’s known for his informative tips, tools, and courses to help creators understand how to make it on YouTube and Twitter. Forbes, HuffPost, Adobe Create Magazine and Photoshop Creative Magazine have recognized his work and he’ll be with us to teach you at NameSummit. Greg Yuna, a native of Queens, New York, is the man behind the Mr. Flawless & Chapter II collection of custom medallions, watches, and gold and diamond jewelry. If you’re lucky you’ll find Greg filming on 6th Avenue in Manhattan, Miami, Los Angeles or Las Vegas, but it’s easier to see him on Instagram. He will be sharing his expertise in the use of social media platforms to build a successful brand. Most recently Greg launched The Greg & Joe Show is doing global promotions for 3 Kilos Vodka. Gerard Adams is the “Millennial Mentor” – a serial entrepreneur and philanthropist with a goal of helping others live their dream. He is the winner of Magic Johnson’s 32 Under 32 Award and has been listed by Business Insider as one of the top 100 most influential people in Silicon Valley. Gerard founded Elite Daily and sold the platform becoming a self-made millionaire by the time he was 24 years old. Since then, Mr. Adams created FOWNDERS to mentor and inspire young entrepreneurs. Gerard is returning to NameSummit to help attendees turn their dreams into profitable realities. Join us at NameSummit 2018 on Aug. 6th and 7th at The Westin Times Square. With one focused track of engagement, NameSummit attendees will have the chance to exchange ideas about current and future developments in digital branding and focus the discussion. As an added bonus you’ll also have the chance to pitch your business ideas to our experts as part of Pitchfest. Don’t miss the special Early Bird pricing of $299 before March 31st.